A few weeks ago I waxed poetic about the amazing, world-changing people we were fortunate enough to work with at Barefoot Coffee. I had just returned from a trip to the Bay Area (te extraño!) 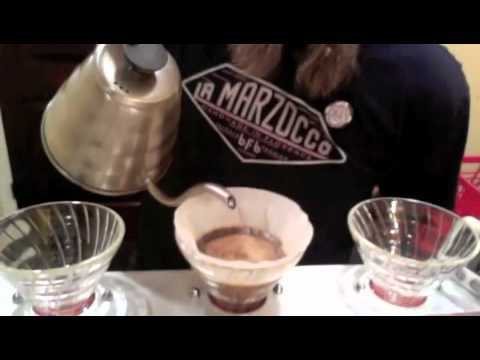 and realized it was the 11th anniversary of the founding of Barefoot Coffee. I cried a lot, mostly with joy; but truth be told a great deal of sadness as well passed over me. There are so many things I am proud of in my life. Some are accomplishments, some are business, most involve people and food/coffee/beer but all of them make me feel pretty darned good. Which is a much needed cathartic to counter balance the other dominant themes. But one seemingly miniscule little thing that we did now stands above them all like Durin’s Tower. I was reminded of it when I went to Chromatic Coffee bar at the home of our first location and the birthplace of Barefoot Coffee. I ordered several drinks for my friend and I along with a pastry and a chocolate bar. The young lady who I did not know at all rang up my order smilingly and politely. I shrugged and paid. She handed me the change and the receipt. I of course looked at it to see what she had done. What I saw moved me to tears. My eyes filled to the brim with tears as my chest was racked with overwhelming emotion. That’s it. Simple. Powerful. True. It was then that I remembered back to the day in 2005 when we got our new POS system. We were entering in all of the drink names and prices. I remembered clearly my insistence that we put in a button, on the home screen, for what we called “The Love”. 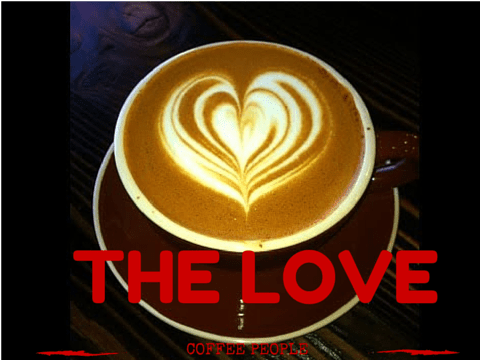 The Love was our code word that we had been using for a long time to let our newer staff know that the persons money was no good at our coffee bar. That way the person didn’t know it, we simply showed them The Love. The Love was and is still reserved for certain people only. Not just people who like coffee. We meant coffee people. Those brave, crazy, misfits of our modern age who had chosen to make their profession coffee. If you worked in coffee, and we knew you did, or found out that you did, you could literally not give us your money for any coffee drink. We figured that if you poured your heart into coffee every day just like we did that the absolute least we could do was serve you our best coffee in return. No filthy lucre needed. You had already paid it forward with your love for coffee. We were simply honoring your love by giving you The Love. If it seems like a silly, sentimental thing to wax rhapsodic over then you don’t understand it at all. When we made the decision to codify it into official company policy by entering it into the POS system, writing it into the employee manual and making it LITERALLY the first thing we trained you on when you learned the register we were enshrining the very essence of what we all believed in. It was not a thing that we did for any reason but love. We all took it very seriously. We took our coffee very seriously and we loved anyone else who was as stupid crazy serious about it as we were. If you were a coffee professional and you walked into a Barefoot Coffee Bar and we knew you were in coffee or even told us you were your money was not allowed to be used to pay for any coffee drinks no matter the cost. No matter the cost. We did it all for the love. We never talked about it, promoted it or really told anyone but our team. But we did print it out on the receipt. Priceless. And I just confirmed that Love is STILL on the physical menu at Chromatic and Barefoot, which proves that we CAN have nice things. And the fact that both barefoot Coffee and Chromatic Coffee still both have it in their POS systems and their company beliefs says more to me than almost anything else I have ever been involved in. I am awed, humbled and overjoyed that at least that one, powerful statement of my heart and my belief in how the world should be, is still growing and spreading. I just asked my 23 year old son who was literally raised at Barefoot Coffee and worked their several years remembered The Love and smiled when he thought of it. He said, “man that was awesome! more coffee bars should do that” I agree, more coffee bars in more places should have LOVE in their POS system and honor those fellow coffee professionals with the work of our hands and our hearts. Pour it forward.